Ohhhh, the yummy salt water flush! This is many times the most difficult part of the Master Cleanse detox. It is also optional as you can drink the Smooth Move tea instead, but I certainly would recommend doing the Salt Water Flush every day the first couple of days. 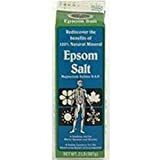 After that you can do the flush every couple of days if you are finding it very unpleasant or difficult (but here's hoping these Salt Water Flush Tips help you through the process. There have been many questions about this process. Many people complain that the SWF doesn't work for them. This is probably the most common mistake with the master cleanse. I believe it can work for everyone, but there are no absolutes in this world. The key is to adjust the amount of salt in order to create the right solution for your individual needs. The Salt Water Flush flushes the whole digestive tract in a way that is very specific and different from the laxative tea. The laxative in a form of tea is necessary every day to allow for the elimination of the toxins from the body. 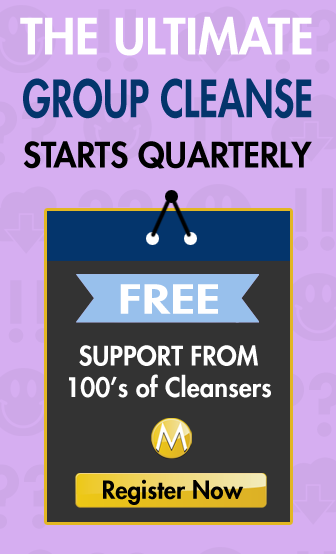 Master Cleanse is all about releasing, so this is very important. 1. You can try brushing your teeth with a really minty (if posible organic) tooth paste before you drink the mixture. This one works quite well. 2. Some people find quite a bit of success with drinking it warm and pretending/ visualizing it's a chicken broth. 3. My personal favourite was having a spoon dipped in maple syrup ready after each time I would take a drink. By licking the spoon a little, my mind would concentrate on the strong flavour of maple syrup and be distracted from the saltiness. 4. I also heard about people sipping the salty mixture through a straw. 5. You can add a little bit of fresh lemon juice to change the salty taste. What is your trick to overcoming this challenge of Salt Water Flush? Please, leave a comment and share your tips with this awesome community. It will be greatly appreciated. Lie on your right side for 30 minutes. This will help the salt water flow through your colon easier letting gravity lend a hand. I hope that helps our readers to make an educated decision. Click here to see an article about the Sea salt we recommend on our website. 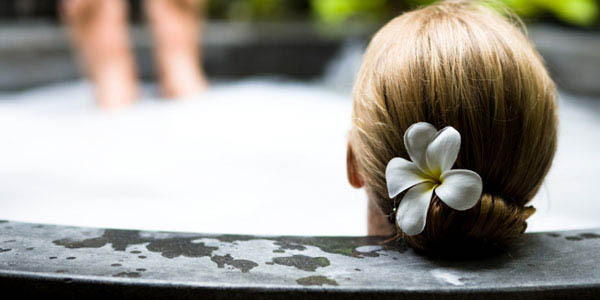 Epsom Salt Bath: relax and keep hydrated. 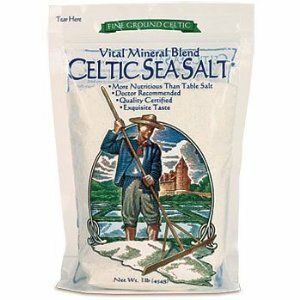 Go here for other articles on Sea salt. I have high blood pressure do you think it’s not bad for me of sea salt .? I’m on day 21 of the Master Cleanse. Should I drink the laxative tea and do the swf on the last day of the cleanse and during the ease out? When do I stop drinking the tea and doing the SWF? I had bowel movements the next morning without taking swf, should I still take the swf as directed by this website ? The first time I did the cleanse I did the full deal for 43 days, stuck to the guidelines (Organic, Pink Himalayan, Sea Salt etc). Did the SWF every morning but it was never consistent (did not always ‘pass through me but seemed to just be absorbed). The results however were great. The second time (33 days) I was more measured with the SWF as it continued to be inconsistent and generally would not ‘pass through me’ as it should, I tried ALL the suggestions. Starting with 2 light TEAspoons and then increasing the amount by half a teaspoon a day. By about day 20 I was up to about 3 TABLEspoons which is ridiculous. It was all just getting absorbed without passing through. So at this point I decided enough is enough and just had the Laxative (Senna) tea. I’m now on a 3rd cleanse and just having the Senna/Laxative tea but I would like to do it properly (with the SWF) but do not want to consume all that salt as I’ve previously done. The only thing I can think of is perhaps if I was to drink a litre of water as soon as I wake up, then leave it an hour. Then try the SWF. That would eliminate the possibility of me being dehydrated. I think i will try that once but otherwise will just stick to the Lax tea and probably try out the enima kit i brought at the end of the last cleanse but never used. Nice idea about the dehydration, not sure if that’s a factor, but worth a shot. You might want to move the other direction with your salt. 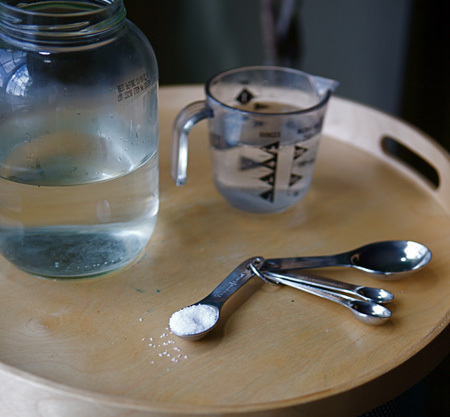 Start a 2 teaspoons and move towards 1. Also maybe try a different salt.